Your prayer, participation, promotion, and provision of financial resources enable Aldersgate Renewal Ministries to minister year-round, across the country and around the globe. ARM depends on the grace of God that flows through the generosity of those who have caught the vision of equipping every church to minister to the world in the power of the Holy Spirit. You can financially support ARM by choosing any of the convenient options in the red HOW TO GIVE box on this page. We encourage you to consider partnering with ARM on a regular basis by becoming an ARM Family Partner. As ARM ministers cross culturally, your church may wish to include ARM in their missions budget by becoming an ARM Church Partner. ARM recognizes the Biblical standard for good stewardship and adheres to the policies and standards of the Evangelical Council for Financial Accountability. ARM Family Partners are people who have chosen to make four commitments: to regularly pray, to actively participate, to intentionally promote, and to consistently provide finances to enable ARM to equip the local church to minister to the world in the power of the Holy Spirit. ARM Family Partners provide the financial catalyst for ARM to minister year-round, across the country and around the globe. Partners make it possible for ARM to serve the local church by providing dynamic learning experiences and quality resources that educate participants to live in the power of the Holy Spirit. They are connected by a passion to see every local church proclaim and demonstrate the Gospel in the character and power of Jesus Christ. What does it mean to be a part of the ARM family? ARM Family Partners commit to regularly pray, participate, promote, and provide resources to enable ARM to equip the local church to minister to the world in the power of the Holy Spirit. ARM Family Partners make it possible for ARM to serve the local church by providing dynamic learning experiences and resources that educate participants to live in the power of the Holy Spirit. Impact: You are making a difference as individuals, and local churches are equipped to learn through quality events and resources that educate how to live and love like Jesus, carrying on the ministry of the proclamation of the Gospel. Easy Giving Options: It is now easier than ever to provide regular support. You can send a check by postal mail or use one of the electronic options for your gifts. Using automatic credit card or automatic checking drafts will save you time and postage; you will receive immediate confirmation of each gift. Monthly Letter of Encouragement: Received either by postal mail or e-mail, this letter will offer Scriptural encouragement to daily live in the power of the Holy Spirit as we partner with God in ministry. Partner Perks: With each monthly letter, you will receive a special offer on a resource to help you grow deeper in your walk with God. Newsletter: We will send you a newsletter sharing how God is impacting lives through your generosity. Filled with testimonies, this semi-annual Update will increase your faith that God is "able to do immeasurably more than all we ask or imagine, according to His power that is at work within us" (Ephesians 3:20). Being an ARM Family Partner is completely voluntary and you will never be pressured to give. If your circumstances change, you can adjust or suspend your commitment at any time by simply notifying us. Your consistent gifts help smooth out financial peaks and valleys throughout the year. ARM ministers year-round and depends on the grace of God and the consistent regular giving of people committed to equip the local church to minister to the world in the power of the Holy Spirit. How do you become a part of the ARM family? Simply choose one of the options in the HOW TO GIVE red box on this page. ARM Church Partners are congregations and fellowships who have chosen to make four commitments: to regularly pray, to actively participate, to intentionally promote, and to consistently provide finances to enable ARM to equip the local church to minister to the world in the power of the Holy Spirit. ARM Church Partners provide the financial catalyst for ARM to minister year-round, across the country and around the globe. In this mutual relationship, ARM seeks to serve local churches by praying, promoting and investing in the life of the local church by providing complimentary resources and registration discounts. The local church reciprocates by committing to pray for ARM, to participate and promote what God is doing through ARM, and to offer financial provision to resource life-giving, transformational, equipping ministry. Ultimately, ARM seeks to build a long term mutual ministry relationship so that local churches can become all that God intends as they learn to keep in step with how the Holy Spirit is leading them to carry on the ministry of Jesus in their local community and beyond. As the local church learns to walk in the Spirit, pray and worship in the Spirit, and share their faith empowered by the Spirit, the Great Commission begins to be fulfilled as local churches both proclaim and demonstrate the Gospel in the character and power of Jesus Christ. We would be honored to have your church enter into this ministry relationship as an ARM Church Partner. Please complete the Online ARM Church Partner form. We are humbled by the opportunity to co-labor in equipping the local church to minister to the world in the power of the Holy Spirit. Determined each January, churches who give a minimum cumulative annual total of $500+ in the previous year qualify for ACP status for the following year. Post-Aldersgate, the pastor (or church contact) will receive a complimentary set of keynote speaker DVDs of the adult worship celebrations and an on-line code for MP3(s) as indicated in the ACP program grid. Membership is an annual commitment and not automatically renewed. We all have individuals in our lives who have contributed to our Spiritual growth and maturity. In your life, there may be someone who, through their legacy with Aldersgate Renewal Ministries, has been that person or persons for you. 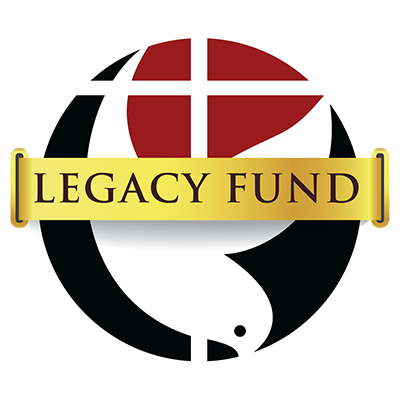 We have an ARM Legacy Scholarship Fund to honor those persons who, in the life of the ministry, have had such an impact. The ARM Legacy Scholarship Fund will be honored by a paper record kept in the ARM Office. Only the names of the honorees will be listed. The honorees will also be remembered by a spot in the Aldersgate Conference Program Guide and the Year End Newsletter for a period of 5 years from the original donation in the honorees name. One initial acknowledgement will also be made in the Weekly Update upon receipt of funds. The funds contributed will be used in the following manner unless advised different by donor: 50% of the contributions will be available for immediate use upon need/request and the other 50% being invested for financial growth. The funds in this scholarship will be used to help participants with registration to attend ARM events. There is no minimum contribution however, the larger the gift, the more impact the gift will have toward the changed life of recipients. If you feel there is someone that has made an impact in your life that you would like to honor in this way, please contact the ARM Office. Ken Steward (2017) - Our first honoree. Ken loved the Lord. Ken was a great actor portraying Robert Strawbridge and John Wesley. Sharing the love of the Father everywhere he went., he would travel anywhere to share the gospel of Jesus Christ. He loved the Lord and served Him with all his heart. Ken was at every ARM event and encourage new folks to join him whenever he could. You always knew that Ken was in the room, Ken would shout amen often and loud. Ken made an impact for the Lord through the ministry of ARM. R.A. Pegram (2018) - Beloved Pastor. This definition may be over-used today, but it describes R. A. perfectly. R. A. was our pasor, mentor and introduction to ARM in 1986. R. A. advocated ARM year-round by describing the organization as "the best thing since sliced bread". He was among the first local church pastor, at Faith UMC in Neenah, WI, to bring ARM events into his church as a "national ministry". Folks from Nashville to Texas came regularly to the frozen tundra for spirit-filled ministry. Folks from Wisconsin regulary attended the summer Aldersgate National Conference on the Holy Spirit for renewal, refreshment, and empowering. Subsequently, many from Wisconsin regulary paricipated on ARM Local Church Renewal Teams with his encouragement. R. A. left a legacy to ARM and all who were blessed by his life. Thanks R. A.! Charles E. Cilley, Sr. (2018) -Many people will remember Charlie as the oldest active celebrator on the floor at Aldersgate. He used a cane except when he had a banner in his hand and could dance with joy before his Lord and Savior which was most of the time at ARM events. He went home August 9, 2016 leaving his wife of 65 years Marjorie four children and numerous grandchildren and great grandchildren. He had served the ARM family on the Advisory Council, LCRE, Prayer teams and a Mission trip to Brazil. Jim Nelson (2018) - Where to start? Not only did Jim love the Lord but he loved to share about the Lord. Jim was an anointed teacher and served in this capacity in a multitude of ways including Sunday School and through ARM local church renewal events. If you were taking a team into the church for a Worship in Spirit and Truth Seminar, you wanted Jim on the team. His wit and humor kept things real but his love for teaching brought it all back to God. Jim loved to sing, especially if he was raising his song in worship. He sang in community choirs as well as his church choir. He was also known to share in select group singing, quartets and duets. Jim served ARM on the Advisory Council and then as a member of the Board and Executive Committee as President, until his health required him to step down. Whenever there was a new pastor assigned to his church, Jim and his wife Ginny always paid for their first visit to the Aldersgate Annual Conference and, because of those invitations, we now have several pastors that are active in ARM ministry because of that initial introduction. What an amazing example to follow! Give a One Time gift, or set up a Monthly Recurring gift. If you wish to give quarterly or yearly, or give more than $1000 one time, please call us. A Special Thanks to Our ARM Church Partners! 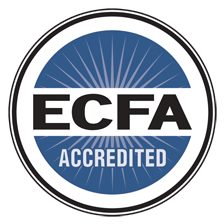 ARM is committed to financial integrity and is a member of the Evangelical Council for Financial Accountability.